A family has been reunited with their precious photos that were found on a gravel track 60 miles from home after a Facebook post to find them went viral. The Bairds from South Kirkby had no idea that the tiny memory card, that was in the wallet of dad Andrew, had fallen out on a recent trip to Nottinghamshire. It was found at Wheelgate family theme park in Mansfield, and Kevin Oldfield decided to post a selection of the photos on social media in the hope of finding the owners. It generated huge interest and was shared more than 3,000 times. Mr Oldfield, who lives in Chesterfield in Derbyshire, said: “I was kneeling down to zip up my son’s jacket and noticed the SD card in the gravel. “I took it to reception and they just told me to put it into lost property, but I thought it would be better to see if there was anything on it and thought it would be fun to try and find out who it belonged to. “There are hundreds and hundreds of photos on it going back to 2014. “There were a lot of trips and holiday photos on there and I just thought it must mean something to somebody, the memory cards are replaceable but the photos and memories aren’t. 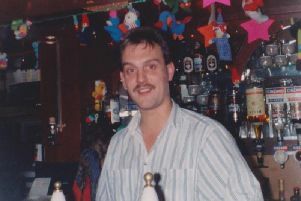 Having found photos taken at BASE Beauty and Wellbeing, he discovered the shop was in Upton and contacted the owners. By 6am Monday morning, 12 hours after first posting the appeal online, Siobhan Baird contacted him to say it belonged to her family. Siobhan said: “It was completely out of the blue, we knew nothing about it but we did go to Wheelgate on November 18.